There’s truly nothing like Christmas in New York. From the tree at Rockefeller Center to the beautifully decorated store window displays along Fifth Avenue, the Christmas spirit is in the air. 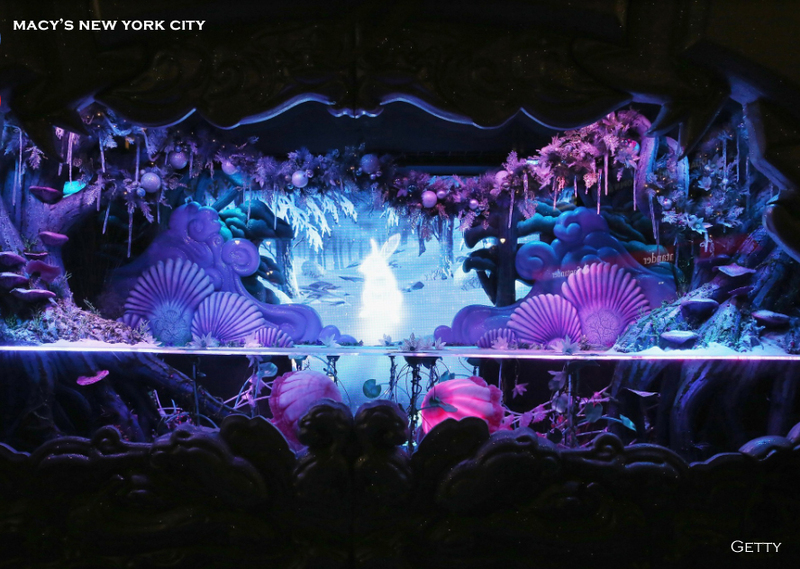 Whether you are all about the holiday magic, or just for the sparkly shoes, holiday window displays in New York City have a little something for everyone. 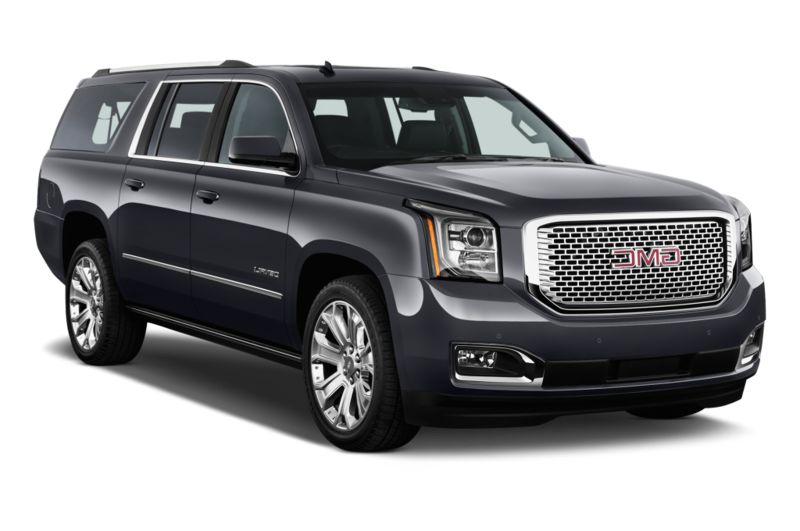 With Allied Limousine’s New York City Window Displays Tour, there’s no traffic or parking issues for you to worry about, just great times with friends and family. 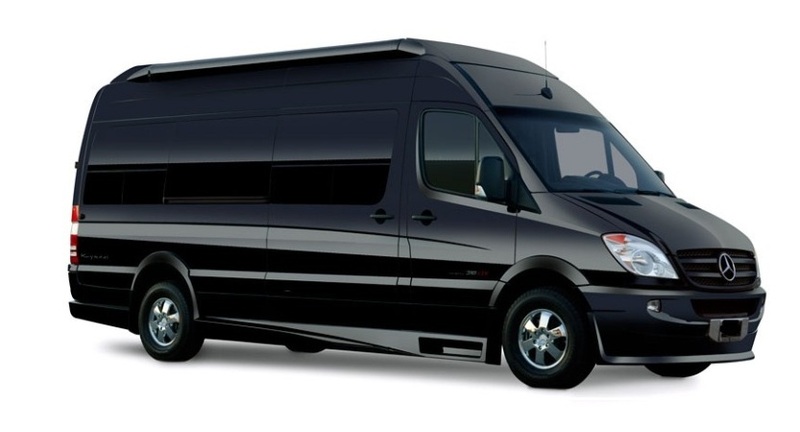 Give us a call and let us help you plan your Limo Tour – a wonderful holiday experience that you and your guests will remember for years to come! Who doesn’t fantasize about a “Tiffany New York Christmas?” Their merchandise is, after all, the stuff of holiday wishlist dreams. 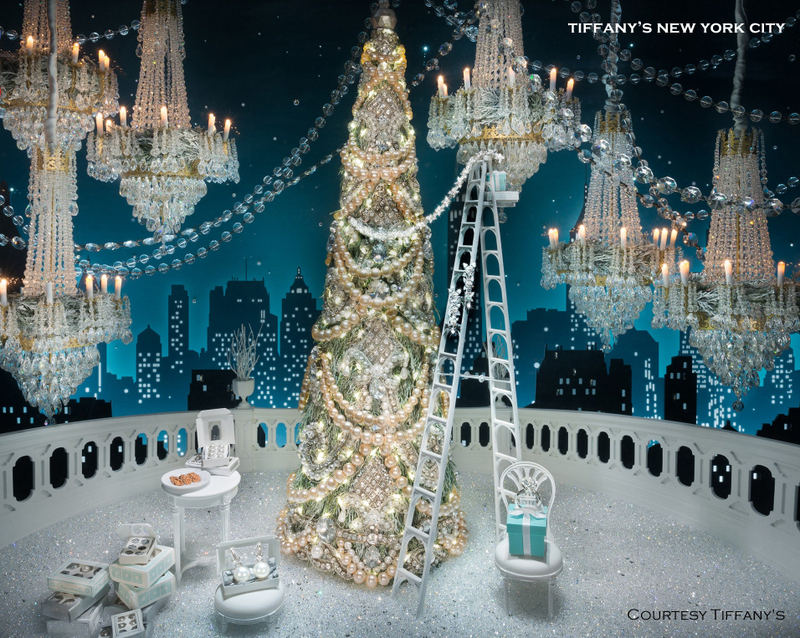 To bring this idea to life, the jeweler has created windows decorating scenes from the Big Apple—with a characteristically robin’s egg blue-and-white twist. In one scene, dubbed “Deck the Halls,” a miniature Christmas tree, decked out with Tiffany Victoria jewels, like a strand of pearls standing in for a traditional popcorn garland. In another, jewels gleam on the plates of a Central Park picnic. Keep your eye out for the recurring archival motif inspired by the spray of diamonds that framed the Tiffany Yellow Diamond for the 1939 New York World’s Fair. 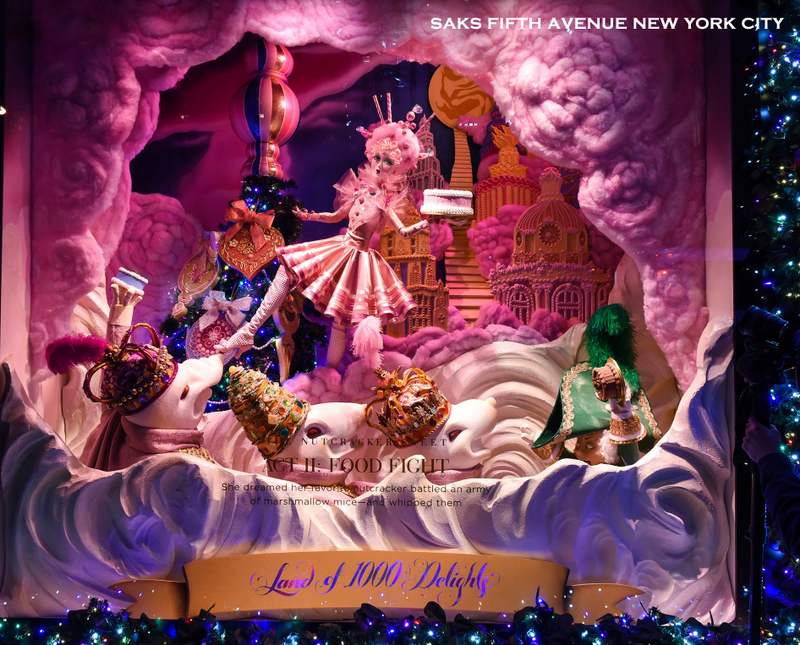 Prepare yourself for Saks Fifth Avenue’s deliciously wacky and totally indulgent holiday windows, which riff on the “The Nutcracker” ballet. Titled “Land of 1,000 Delights,” the various scenes reinvent characters from the classic story—though little Clara, clad in a pink tulle skirt and holding a frosted cake, looks more ‘Marie Antoinette’ than ‘wonderstruck child’—and the crowned Mouse King bounds along in a sleigh with his red-eyed minions. The otherworldly landscapes are populated by oversized lollipops, and swirls of pink clouds overhead—so be prepared for a wild, sugar-sweet ride. You’ve got to give credit to Lord & Taylor, whose flagship windows—even after nearly eight decades in the business—never fall short of providing some stellar holiday cheer. 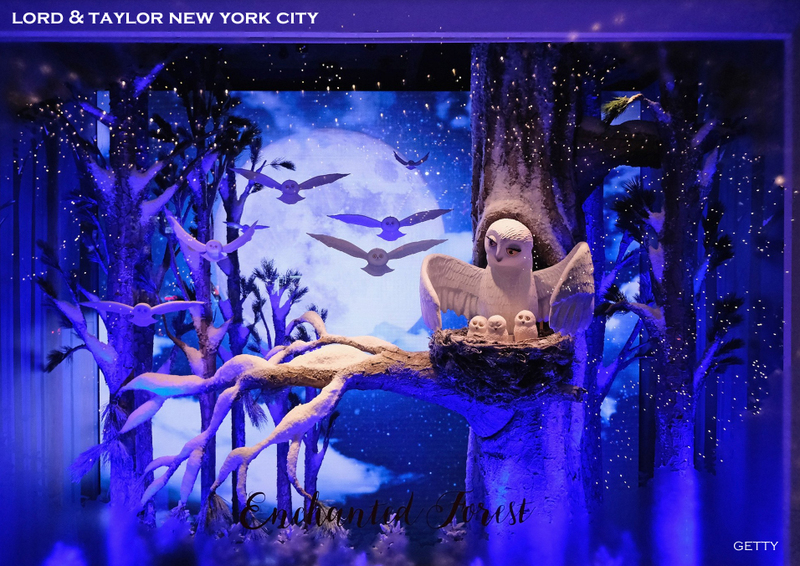 This year, the retailer’s “Enchanted Forest” theme ushers in scenes of a winter wonderland spread across five windows, and features nearly three dozen hand-sculpted critters, like ice-skating bunnies, oversized teddy bears, and a family of owls nesting in a snow-covered tree. Set against the backdrop of a dark blue night sky, the dioramas are guaranteed to give goosebumps to even the grouchiest grinch. The retailer’s Herald Square flagship is offering up a kick of childhood nostalgia this year: Its theme, “Believe,” is a nod to those classic Christmas scenes, like Santa assembling gifts at the North Pole, that conjure up what Christmas meant to us as kids, and stresses qualities like ‘celebrate,’ ‘giving,’ and ‘love.’ The display is part of the retailer’s wider “Believe” campaign, a near-decade old effort to raise money for the Make-A-Wish foundation—the retailer donates $1 for every letter to Santa it receives—helping to echo the sentiments of persistence and optimism. All told, a mix of the fantastical and iconic—but always magical. 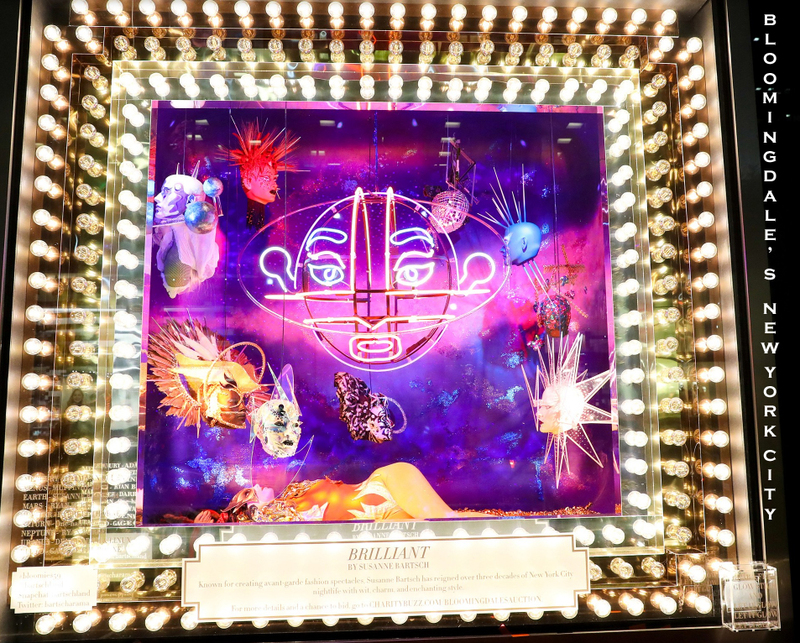 For this year’s theme, “Light,” Bloomingdale’s recruited eight visual artists to create one-of-a-kind chandeliers. Even the work of New York City’s own Susanne Bartsch—a well-known nightlife queen and rabble rouser—makes an appearance. Bartsch’s interpretation (seen here) uses neon lights to create “Brilliant,” a large chandelier depicting a face that closely resembles Leigh Bowery, a performance artist whom Bartsch brought to NYC in the early eighties—and a sample of one of the many “brilliant” people who have touched her life. The retailer is hosting an auction for the chandeliers, through Dec. 20, with profits benefiting the Child Mind Institute. Article courtesy of Conde Nast Traveler. We have a number of car options in a range of sizes, so you can fit the whole family – and some of your closest friends – in a car and experience the joy of the holidays together.